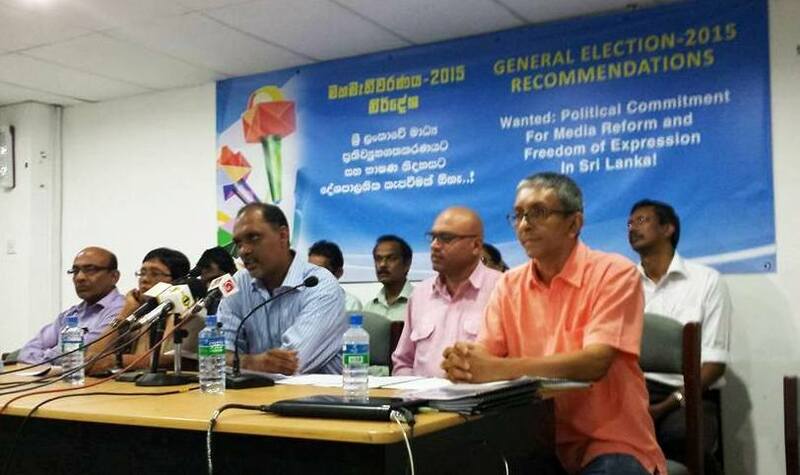 Since the Presidential Election on 8 January 2015, some progress has been made with regards to freedom of expression (FOE) and media freedom in Sri Lanka. 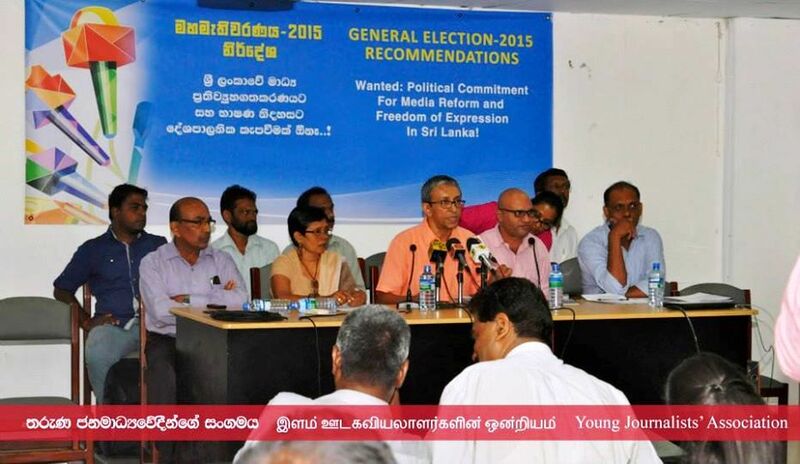 These include: steps being taken to end threats against and pressure on media organisations and journalists; the unblocking of political websites that were arbitrarily blocked; the 19th Amendment to the Constitution recognizing the right of access to information as a fundamental right; and the government extending an open invitation to exiled journalists to return to Sri Lanka. But much more remains to be done to improve FOE and media freedom situation in Sri Lanka, and to ensure a more conducive environment for the media. Such policy, legal and structural reforms would require the political will of all political parties in the next Parliament of Sri Lanka. In view of this, we urge the political parties contesting in the General Election to be held on 17 August 2015 to give a firm commitment to the following specific measures for meaningful media freedom and reforms. These are not listed in any order of priority. Right to Information: A right to information law, which gives individuals the right to access information held by public authorities, should be adopted. The new Parliament should pass, on a priority basis, the Right to Information Bill that was finalised in May 2015 with inputs from media stakeholders. Media Self-Regulation: The Press Council Act 5 of 1973 should be repealed, and the government-controlled Press Council should be abolished. 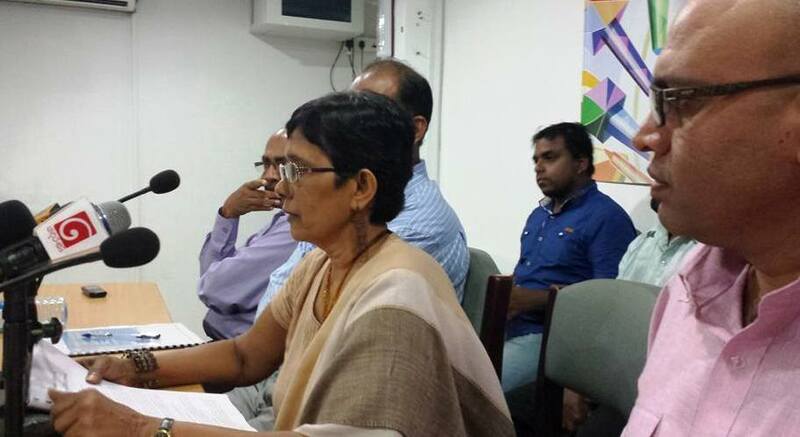 The self-regulatory body established in 2003 by the media industry, known as the Press Complaints Commission of Sri Lanka (PCCSL), should be strengthened and ideally its scope should be expanded to cover the broadcast media as well. Law Review and Revision: Civil and criminal laws that pose various restrictions on media freedom should be reviewed and revised to bring them into line with international standards regarding freedom of expression. Such laws include the Prevention of Terrorism Act, the Official Secrets Act, sedition laws, and the rules on contempt of court and Parliamentary privileges. Crimes Against Journalists: An independent Commission of Inquiry should be created with a mandate and adequate powers to investigate past killings of, threats to, disappearances of and other attacks on journalists, media workers and media outlets, with a view to ensuring that those responsible are prosecuted and that appropriate compensation is paid to the victims and their families. Broadcast Regulation: Comprehensive legislation on broadcasting should be adopted in line with international guarantees of freedom of expression. This should provide for, among other things, proper planning in relation to the frequencies allocated to broadcasting, including through the digital transition, a three-tier system of broadcasting which recognises public, commercial and community broadcasters, and obligations on broadcasters to be balanced and impartial in their coverage of politics and other matters of public concern. An independent Broadcasting Authority should be set up to regulate the entire broadcasting sector in the public interest. This regulator should ensure a fair, pluralistic and efficient broadcasting system. Community Broadcasting: The broadcasting regulation to be introduced should support the development of community broadcasting services owned and operated by communities through clear definitions of what constitutes a community broadcaster, a tailored licensing process, and lower fees for frequency allocation and other concessions. Restructuring State Media: The three State broadcasters – the Sri Lanka Rupavahini Corporation (SLRC), the Sri Lanka Broadcasting Corporation (SLBC) and the Independent Television Network (ITN) – should be transformed into independent public service broadcasters which enjoy editorial independence, have a clear mandate to serve the public and benefit from public funding which does not compromise their independence. Measures should also be taken to ensure that Associated Newspapers of Ceylon Limited (ANCL or Lake House) can operate independently of government and enjoy editorial freedom. A public consultation should determine the most appropriate way forward. Preventing Censorship: No prior censorship should be imposed on the media. Where necessary, courts can review media content for legality after publication on an urgent basis. Laws and regulations that permit censorship – including the Public Performance Ordinance – should be reviewed and amended to bring them into line with international standards. No Blocking Political Websites: There should be no attempts to limit online content or social media activities contravening fundamental freedoms guaranteed by the Constitution and international conventions. Restrictions on illegal content may be imposed only through an independent judicial process which ensures that fundamental rights to access information and freedom of expression are not hindered. Privacy and Surveillance: The state should respect and protect the privacy of all citizens. There should be strict limits to the state surveillance of private individuals’ and entities’ telephone conversations and electronic communications. In exceptional situations, such surveillance should only be permitted with judicial oversight and according to a clear set of guidelines.